Espresso Brown Colored Tissue Paper, 20" x 30" sheet size. 480 sheets per ream. French Vanilla Colored Tissue Paper 20" x 30" sheet size. 480 sheets per ream. Bermuda Sand Colored Tissue Paper, 20" x 30" sheet size. 480 sheets per ream. Birch Colored Tissue Paper, 20" x 30" sheet size. 480 sheets per ream. Chocolate Brown Colored Tissue Paper, 20" x 30" sheet size. 480 sheets per ream. Desert Tan Colored Tissue Paper, 20" x 30" sheet size. 480 sheets per ream. Dune Beige Colored Tissue Paper, 20" x 30" sheet size. 480 sheets per ream. Honey Brown Colored Tissue Paper, 20" x 30" sheet size. 480 sheets per ream. Noble Gold Colored Tissue Paper, 20" x 30" sheet size. 480 sheets per ream. 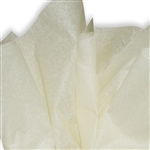 Parchment Colored Tissue Paper, 20" x 30" sheet size. 480 sheets per ream. Raw Sienna Colored Tissue Paper, 20" x 30" sheet size. 480 sheets per ream. Terra Cotta Colored Tissue Paper, 20" x 30" sheet size. 480 sheets per ream. Cream Colored Tissue Paper, 20" x 30" sheet size. 480 sheets per ream. Sandstone Colored Tissue Paper, 20" x 30" sheet size. 480 sheets per ream.